Your WordPress analytics dashboard provides a wealth of data you can use to measure the success of your event marketing strategy. By analyzing this data, you can quickly learn what’s working (and what’s not) when it comes to your event marketing efforts. Your website traffic can tell you more than just the number of visitors to your site. By taking a closer look at your event analytics, you can glean all sorts of useful information—like how many people visited a certain event page, how many visitors are converting (meaning they either purchase tickets or register for your events), and which third-party sites are referring people to your website. Using your WordPress analytics data, you can begin to assess the ROI of your promotion efforts based on marketing attribution (aka determining which marketing effort gets the “credit” for each person who registered or bought tickets for your event). Was it an internal marketing campaign that drove the conversion, or a link from a third-party site? By setting aside time to review your website traffic, you’ll be able to attribute your event success to the right source, which makes it easy to decide which marketing strategies to keep and which ones to ditch. Before diving into the numbers, you need to decide which tool you’ll use to measure site traffic and other data. Google Analytics is the gold standard, and its user-friendly interface is easy to master—even for novices! All you need is a Google Analytics account and website admin access to install the tracking code on your WordPress site. There are plenty of free Google Analytics plugins that make it easy to install the tracking code on your site, and many of them also pull stats directly into your WordPress dashboard to make it easy to review the data. For help getting started, check out this detailed guide from Moz. Not a numbers person? Not to worry! Start small by tracking a couple of easy key performance indicators. The first thing most people look for in their analytics is site traffic. It’s easy to get excited about the overall numbers, but as good marketers, we know we need to get more detailed. Remember that marketing attribution piece we mentioned above? UTM parameters are your best friend to ensure the data you’re looking at is accurate. With those in place, you’ll be able to measure marketing success at the campaign level to see how specific channels and tactics are performing. To view your campaign results in Google Analytics, navigate to Acquisition > Campaigns > All Campaigns and select a campaign. From there, you can see which marketing activities drove the most traffic. Let’s assume your event marketing campaign is driving tons of traffic to your site—sweet! Now it’s time to see which traffic is traffic is converting visitors into registered attendees. To track conversions with Google Analytics, start by setting up conversion goals in your analytics dashboard. Then, sit back and watch as the conversions roll in—or, if the conversions aren’t rolling in, it might be time to rethink your approach or introduce A/B testing. Tip: If you’re not thrilled with your conversion rate, try testing different calls to action to drive sales, such as colorful Buy Now buttons available in Event Tickets Plus. It’s easy to fall down a WordPress analytics rabbit hole (so much data! ), but don’t forget to take a step back and consider how the data connects to your event goals and objectives. Did your marketing efforts perform the way you expected? Were you surprised by an unexpected success, or by a campaign that flopped? Go forth with your learnings and optimize. 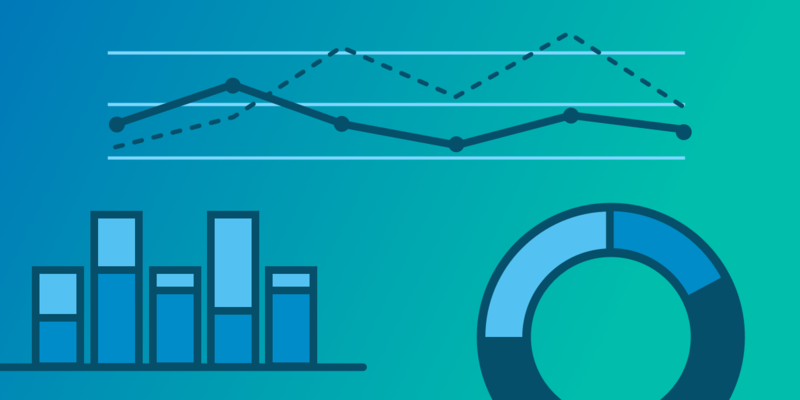 With event analytics data on your side, you can compare marketing approaches, test new tactics, and refine your strategy as you go. For more event marketing tips and other news from The Events Calendar, sign up for our monthly newsletter.